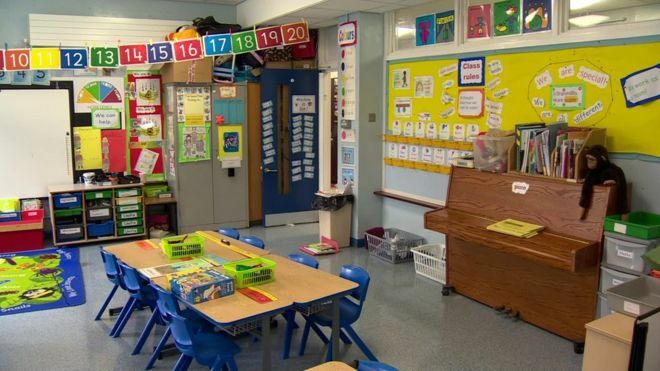 On Thursday, the Deputy General Secretary of the Ulster Teacher’s Union said Mr Baker’s comments didn’t tell us anything “we don’t know already”. Jacquie White said: “Schools haven’t faced financial pressures like today’s since the Education Act of 1947, and then they were largely because of wartime austerity. “If communities realised the true extent of the crisis in the classroom today I can’t help thinking they’d be voting with their feet on the streets. She added: “We’re at a make or break point, make no mistake. For a few years we have been warning against the tightening fist of fiscal austerity in our schools”.